You can save a lot in the long run by taking the advice of experienced shooters and buying the best equipment you can afford from Day 1. Your choice of rifle will depend on how much you have to spend and what style of shooting you plan to do. There is no one “best” rifle. 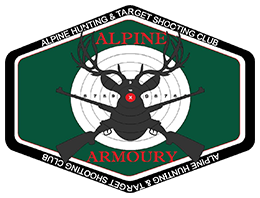 Alpine members can buy excellent rimfire and centrefire rifles, shotguns, CZ75 Australian semi-auto pistols and shooting accessories, including pistol ammunition, at great prices from the Alpine Armoury website. We are also happy to advise new members on the best value configuration for their needs. Popular rifles include Thompson/Center, Sako, Tikka, Remington, and Savage. The calibre you choose will also depend on the type of shooting you plan to do. If you do not intend to reload your own ammunition and are primarily interested in hunting, we recommend a .308 Winchester for both target shooting and hunting. When hunting, bullet placement is far more important than bullet power. A .308 WIN will drop even a sambar or water buffalo in its tracks if your bullet placement is right. If you’ll be doing a lot of target shooting and/or primarily hunting in NSW, then a .243 WIN is by far the best choice. Larger calibres such as .30-06 Springfield (SPRG) are better suited for hunting trophy game animals, but the real keys to success are accuracy and the ability to stalk. For long-range target shooting, you will benefit from a heavier rifle. For shorter range (Alpine PR5) target shoots and hunting, a reasonably light firearm will save you a lot of pain. Try to acquire two magazines with a capacity of at least four (ideally five) rounds each. Your choice of riflescope will also depend on the type/s of shooting you expect to do. In general, our maxim is to buy the best scope you can’t afford, especially for night or spotlight shooting. 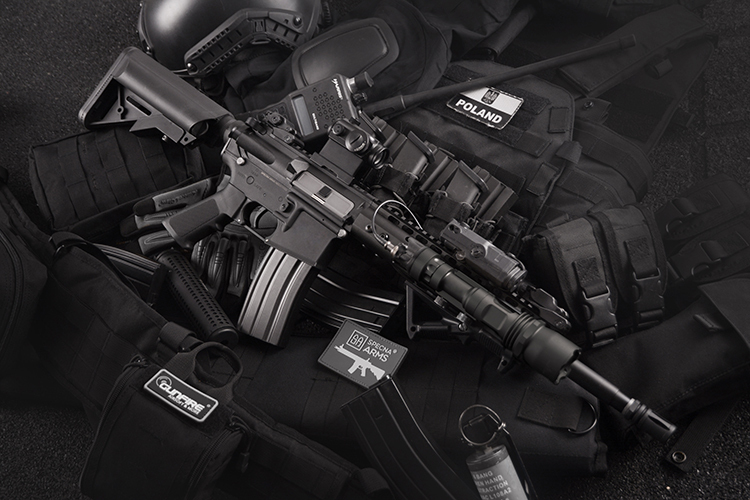 Top scopes include Bushnell, Sightron, Nightforce, Zeiss, Leupold, Vortex, Swarovski and Schmidt & Bender. A good 6-24x scope will take you all the way from 100M to 800M. If you are hunting on open land, a fixed-power (4x or 6x) scope will be more accurate if you are on a budget. In thick scrub, including sambar hunting, a variable 3-9x scope is ideal and highly recommended. Shooting can be an expensive sport; hunting is even more so. So look for bargains and second-hand quality. Bargains can often be found on usedguns.com.au. A rifle sling. Creedmoor and Grovtec slings are popular for target shooting; combination carry-shoot slings are better for hunting. A quality rifle case for security and to protect your rifle and scope investments. A mat for target shooting, available from the NSWRA store. A secure and lockable ammunition box. A gun cleaning support, coated cleaning rods and a bore guide. We recommend the Tiptongun vice, Dewey cleaning rods, and Mike Lucas rod guides. Reloading equipment. Reloading saves money and lets you control ballistics. There are many options depending on your individual needs, space and financial means. This page presents a basic introduction. Good boots that are supple, light and have flexible soles. Appropriate clothing, including a blaze orange camo vest/jacket and cap for hunting in scrub. Eliminate UV brightness from your clothing by washing hunting clothes in specialist hunting cleaners or the secret Alpine formula. Ammunition: whether you buy or load your own, never use second-rate ammunition when hunting. We also recommend that you use projectiles suited to the game you are chasing. Alpine is also a hunting club and an accredited Hunter LEAP provider. For details of licensing and safety rules, our hunting program, and the LEAP course and test, see the Hunting page.